Car rentals France is our first choice of travel options. Do you really want to explore and get to know France, its nooks and crannies? We do and we could not have experienced that special B&B in the Loire or that converted bishop’s house turned B&B in Vaison La Romaine or the rental cottage near the coast of Brittany unless we had our rental car. All the major international car rental companies are in France as well as European companies. You can pick up your rental car in a city or at a major airport. You can pick up your car in town or at a major airport like in Paris at Roissy-Charles-de Gaulle or other major airports in the provinces of France. For example in the capital of the provence of Brittany, car rentals Rennes are available at the airport and in the center of the town of Rennes. Another visit, we took the TGV to Brittany and picked up a rental car at the train station in Rennes, then did a tour of Brittany. 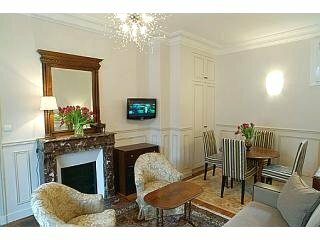 Another time we rented at the Paris airport and drove to Brittany and back in a Peugeot station wagon with 4 adults. Throughout the years Gildas travels often to France for family and has become a car rentals France expert. You will always save money by booking and prepaying for your car rental before you leave home. When researching for car rentals France check for the international car companies like Avis and Hertz as well as Europe-wide companies like Europcar. When comparing rates you need to be aware of the extra collision insurance some car rental companies require you to take. Web sites will quote a price without the additional insurance, and with the insurance. If you decide that you want to rent a car without collision insurance because your credit card or your own car insurance covers you, you will need to check with the car rental company in advance to see if they will accept you to wave the insurance. Some rental car companies will not let you drive out of their lot without paying for the extra insurance. So far we haven’t found a company that will let us not take it. Fly and train packages can be a good deal, available through Rail Europe. If you are planning to drive in France for a minimum of 3 weeks, a good money saving option is short term tax free purchase and buy back service. Called TT leasing offered through Citroen, Peugot, Renault and Ideamerge. You have to be a non EU resident and certain restrictions apply. 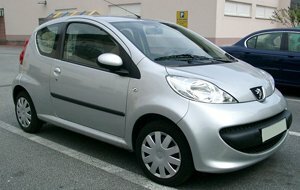 Car rentals France are equipped with manual transmission (i.e. stick shift) that most of the population drive. You will have to pay extra for a car with automatic transmission. Car rentals come without air conditioning. You will need to pay extra if you want it. Don’t bother getting A/C if you are traveling to places like Brittany or Normandy because it never gets too hot there. Save your money to pay for the gas! Speaking of gas, if possible, rent a car that runs on diesel. Diesel gets better mileage and is cheaper than unleaded gas so you save all around. What size car to rent? Make sure your luggage fits in the car. The average size adult will have no problem fitting into any to size car as long as you don’t try to fit more passengers than you have seat belts. Not so for luggage. Most small cars have a hatch back and even if it’s just the 2 of you in the car, you will probably need to put 1 bag in the trunk and 1 bag on the back seat. Like we did when we rented a Peugot 105. The trunks are very small. Our last trip we were with my cousin and my dad so we were 4 adults. 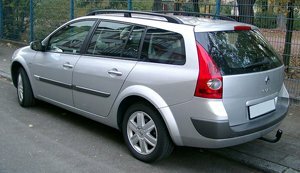 We found a good rate and pre-booked with AutoEurope (a company based in Portland, ME USA) We reserved a compact station wagon which in this case was a Renault Megan. We had plenty of room to sit but the trunk couldn’t take 4 bags. Believe me we negotiated all angles, but no go. 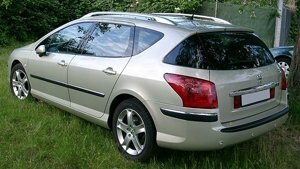 Lucky for us they had the next size available (we were at Charles de Gaule airport so there was inventory) so we upgraded to a Peugeot 407 diesel station wagon (a full size car). It fit all bags and us. France is such a beautiful country and car rentals France is a great choice to explore it all. With a little inside knowledge and preparation your trip can be smooth and easy.